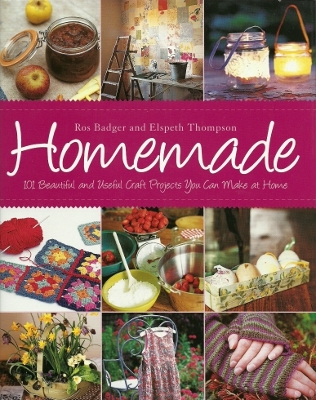 When I noticed another Ros Badger & Elspeth Thompson book being released this month I got very, very excited as I had enjoyed their "Homemade: Gorgeous things to make with love" so much. This new title "Homemade: 101 beautiful and useful craft projects you can make at home" is in fact the same book. It has just been republished with a different cover and a slightly different title. Oh well, I'll just have to return it to Amazon and see what else I can get off my wishlist instead.